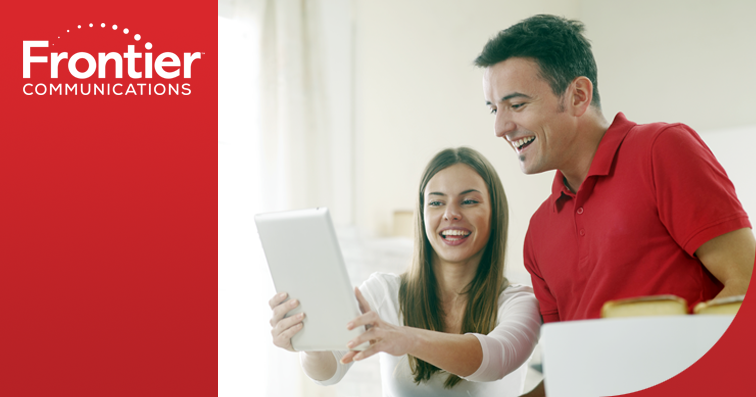 Limited-time offer for new Internet and new Voice residential customers. Must subscribe to a new qualifying residential phone and new High-Speed Internet services. After 24-month promotional period, the-current everyday price applies to all services and equipment. Cannot be combined with other promotional offers on the same services. Equipment, installation (up to $75), taxes governmental surcharges, and fees, including broadband router fee (up to $10/mo. ), Internet Infrastructure Surcharge ($!.99/mo.) and other applicable charges extra, and subject to change during and after promotional period. Standard charges apply for jack installation, wiring and other additional services. Service speed is not guaranteed and will depend on many factors. Maximum speed is not available to all cations and service may not be available at certain speed at your location. Your ability to stream may be limited by speeds available in your area. Service subject to availability. A $9.99 broadband processing fee upon disconnection of service applies. Equipment delivery/handling fee applies. Frontier reserves the right to withdraw this offer at any time. Other restrictions apply. *Amazon Prime offer requires a two-year agreement and maximum $120 Frontier early termination fee on new Internet and new Voice services. Limited-time offer for new Internet and Voice customers. Must subscribe to a new qualifying residential phone and new High-Speed Internet. Cannot be combined with other promotional offers on the same services. Service speed is not guaranteed and will depend on many factors. Maximum service speed is not available to all locations and service may not be available at certain speeds at your location. Your ability to stream may be limited by speeds available in your area. Service subject to availability. If customer cancels one of the required bundled services during promotion, all promotional rates are void and early termination fee applies for Amazon Prime offer. Internet router fee waived during 24-month promotional period. Equipment delivery/handling fee applies. A $9.99 broadband processing fee upon disconnection of service applies. $75 installation fee waived on new Double Play bundles. Standard charges apply for jack installation, wiring and other additional services. Unlimited calling is based on normal residential, personal, noncommercial use. Calls to 900 numbers are blocked. Calls to 411 incur an additional charge. Subject to Frontier's fair use policy and terms of service. After 24-month promotional period, promotional discount will end and the then-current everyday monthly price will apply to all services and equipment. Amazon Prime Offer: You must redeem your promo code and agree to the Amazon Prime Terms & Conditions to qualify for Prime membership. Your Amazon Prime membership automatically renews for the membership fee in effect at the time of renewal plus applicable taxes. You may cancel at any time by visiting Your Account and adjusting your membership settings. Valid credit card required at time of registration if Amazon does not have one on file. Promo code cannot be transferred or resold. For more information about Amazon Prime, visit amazon.com/prime. Taxes, governmental and other Frontier-imposed surcharges apply. Frontier reserves the right to withdraw this offer at any time. Equipment, FDV, Internet Infrastructure Surcharge, and other fees may apply. Service not available in all areas. Services are subject to all applicable Frontier terms and conditions. Equipment, FDV, Internet Infrastructure Surcharge, DVR service & other fees may apply. Service not available in all areas. Services are subject to all applicable Frontier terms and conditions. *Premium channel subscription of your choice included for ﬁrst 12 months with qualifying new TV bundles. After 12 months, customer’s subscription continues at then-current everyday monthly price. HBO®, Cinemax® and related channels and service marks are the property of Home Box Ofﬁce, Inc. STARZ and related channels and service marks are property of Starz Entertainment, LLC. **Only available with Quantum TV, for an additional month fee. Netﬂix streaming membership required to access Netﬂix. ***Other terms and conditions apply, including Frontier’s Acceptable Use Policy and Network Management Policy, and are subject to change without notice. †Only available with Quantum TV Enhanced experience, for additional monthly fee. 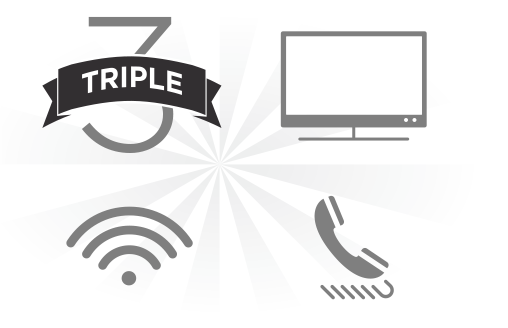 Limited-time offer for new FiOS Triple Play customers in select areas of CA, TX and FL. Must subscribe to a qualifying package of new FiOS Digital Voice (FDV), new High-Speed Internet with maximum Internet speed of 100 Mbps download and 100 Mbps upload and new FiOS® TV Custom Essentials. Higher speeds available in select areas only for an additional monthly fee. After 24-month promotional period, then-current everyday price applies to all services and equipment. If customer cancels one of the required bundled services during promotion, all promotional rates are void. Cannot be combined with other promotional offers on the same services. Price comparison based on online pricing for Spectrum as of 3/21/18 and compares the cost of service during ﬁrst two years. Feature comparison based upon features available as of 2/2/18. Internet service speed is not guaranteed and will depend on many factors. Maximum service speed is not available to all locations and service may not be available at certain speeds at your location. Service subject to availability. A $9.99 broadband processing fee upon disconnection of service applies. Equipment delivery/handling fee applies. A $2.99/mo. broadcast fee, a $1.99/mo. Internet Infrastructure Surcharge, a $2.99/mo. VoIP admin. fee, $10/mo. router fee, $21/mo. Quantum TV service and equipment fee applies. Additional monthly fees for set-top boxes apply. Wireless set-top boxes may not be available in all areas and will be installed at the discretion of the technician. Minimum system requirements and other terms and conditions apply. $75 installation fee waived on new FiOS Triple Play bundles. Standard charges apply for jack installation, wiring and other additional services. All TV prices, fees, charges, packages, programming, features, functionality and offers subject to change. Additional fees may apply to video on demand viewing. Your Frontier VoIP phone service, including 911 service, will not function without electrical or battery backup power. In the event of a power outage, you may not be able to make calls and you should ensure that you have an alternative means of calling 911, such as via a cellular phone. Taxes, governmental and other Frontier-imposed surcharges apply. Frontier reserves the right to withdraw this offer at any time. Netﬂix is a registered trademark of Netﬂix, Inc. The FiOS marks are owned by Verizon Trademark Services LLC and used under license. ©2018 Frontier Communications Corporation. *Premium channel subscription of your choice included for ﬁrst 12 months with qualifying new TV bundles. After 12 months, customer’s subscription continues at then-current everyday monthly price. HBO®, Cinemax® and related channels and service marks are the property of Home Box Ofﬁce, Inc. STARZ and related channels and service marks are property of Starz Entertainment, LLC. **Requires an additional monthly fee. Requires power and connection to TV; wireless signal range limited. †Available in select areas only for an additional monthly fee. ‡Other terms and conditions apply, including Frontier’s Acceptable Use Policy and Network Management Policy, and are subject to change without notice. ^Requires additional fees. Limited-time offer for new Vantage by Frontier Triple Play customers in CT. Must subscribe to a qualifying package of new Vantage Voice Unlimited, new Vantage High-Speed Internet with maximum speed range of 18 Mbps to 24 Mbps download and new Vantage TV Select. Higher speeds available in select areas only for an additional monthly fee. After 24-month promotional period, then-current everyday price applies to all services received and equipment. If customer cancels one of the required bundled services during promotion all promotional rates are void. Cannot be combined with other promotional offers on the same services. Feature comparison based upon features available as of 2/2/18. Internet service speed is not guaranteed and will depend on many factors. Maximum service speed is not available to all locations and service may not be available at certain speeds at your location. Service subject to availability. Equipment delivery/handling fee applies. A $9.99 broadband processing fee upon disconnection of service applies. A $2.99/mo. broadcast fee, a $1.99/mo. Internet Infrastructure Surcharge, a $2.99/mo. VoIP admin. fee, $10/mo. router fee, $21/mo. DVR service and equipment fee apply. Additional monthly fees for set-top boxes apply. Wireless set-top boxes may not be available in all areas and will be installed at the discretion of the technician. Limit 2 wireless set-top boxes per household. Set-top box model 4402 can support up to 4 wireless STBs per household.. Minimum system requirements and other terms and conditions apply. $75 installation fee waived on new Vantage Triple Play bundles. Standard charges apply for jack installation, wiring and other additional services. All TV prices, fees, charges, packages, programming, features, functionality and offers subject to change. Your Frontier VoIP phone service, including 911 service, will not function without electrical or battery-backup power. In the event of a power outage, you may not be able to make calls and you should ensure that you have an alternative means of calling 911, such as via a cellular phone. Taxes, governmental and other Frontier-imposed surcharges apply. Frontier reserves the right to withdraw this offer at any time. Other restrictions apply. ©2018 Frontier Communications Corporation. Limited-time offer for new Internet and new Voice customers. Must subscribe to qualifying package of residential phone and High-Speed Internet services with maximum speed ranges of 1.61Mbps to 6Mbps download. After 24-month promotional period, then-current everyday price applies to internet service.